The healthy alternative to coffee finally available for Lavazza A Modo Mio Machines!! Chicory coffee is popular among those trying to reduce their caffeine intake. It is linked to several health benefits, including reduced inflammation, decreased blood sugar and improved digestive health. This coffee is best served as a 35-50ml espresso shot. 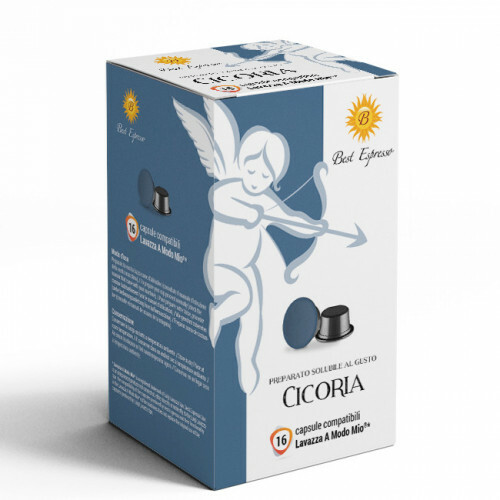 Best Espresso is a coffee company based in Padua Italy which has gained a reputation in the production of coffee capsules and related R&D. The company owned technology and patents related to coffee capsules are considered among the most advanced in the coffee industry. The technological advantage gained in decades of incremental improvements is most evident when compared to other “standard” capsules. 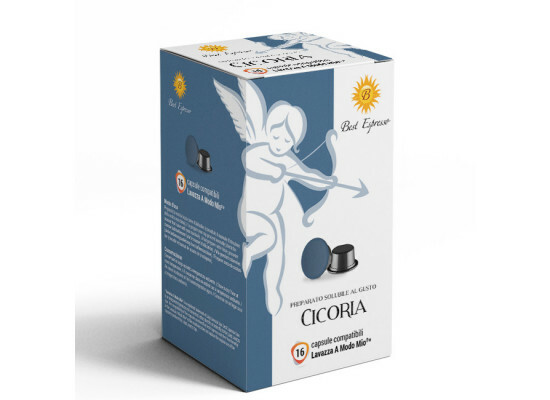 This alternative to Nespresso capsules is inspired by the Planets and the goal is to combine the best know-how and cutting edge technology with quality coffee beans to bring out the deliciousness of the coffee beans in the cup rather than the roast. It comes as no surprise that blends in this line are made up using the best selection of the sweetest and roundest varieties of beans, carefully combined to produce a distinguished smooth, fragrant and well balanced espresso coffee. SATURNUS Inspired by planet orbits is a coffee made from a blend of selected beans from different countries. It has been carefully measured and balanced to achieve a high and unique quality espresso shot. Best enjoyed by..
NEPTUNUS - this decaffeinated coffee is made of Robusta blend which creates stronger, creamier and more intense coffee taste. It is a perfect option for non-caffeine lovers.This coffee is best served as a 15-55ml e..
16 capsule containing a blend of GINSENG and instant COFFEE compatible with nespresso machine. An easy to drink beverage with a unique taste and extraordinary revitalising properties. Easy to prepare drink.Al..